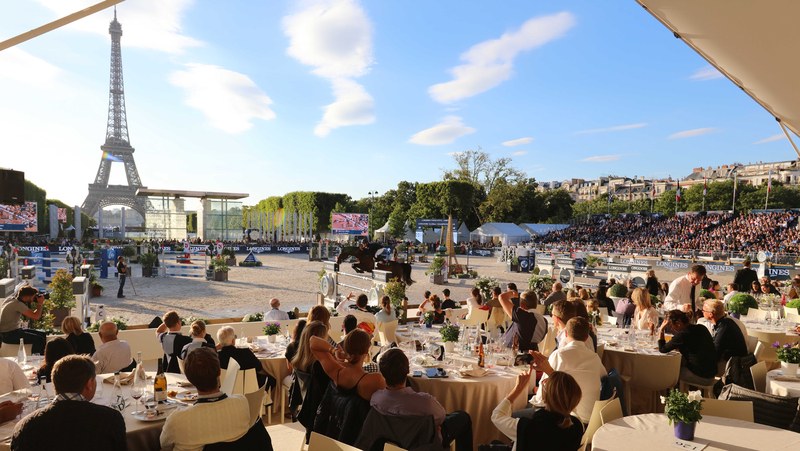 Big expectations have been set ahead of this week’s Longines Global Champions Tour - Longines Paris Eiffel Jumping, as seven out of the top 10 in the LGCT ranking will head to the magical city to square up for the tenth leg of the Championship race. The current top three riders in the Championship give a fascinating insight into their approach for success, as they head to Paris this weekend for what promises to be a unique sporting, social and cultural spectacular, set once again against the backdrop of one of the world's most iconic landmarks, the Eiffel Tower. Indeed, seven out of the top 10 in the LGCT ranking will be in action with Harrie Smolders (NED), Alberto Zorzi (ITA), last year’s LGCT Grand Prix of Paris winner Julien Epaillard (FRA) and Jos Verlooy (BEL) all looking for a big points haul under the iconic Eiffel Tower. One of the most visited cities in the world, Paris is brimming with famous attractions and landmarks. Spectators can enjoy world-class show jumping in the heart of the ‘International City of Style’, against one of the most recognisable landmarks in the world. French “art de vivre” will as well be celebrated through gastronomy in the reception areas with restaurants run by two famous 3-star chefs, Alain Ducasse and Frédéric Vardon. Over 50,000 visitors are expected to what's become a meeting place for horse lovers around the world. Other top international riders this weekend include names such as Christian Ahlmann (GER), Maikel van der Vleuten (NED), Simon Delestre (FRA), Jerome Guery (BEL), Gregory Wathelet (BEL), Roger-Yves Bost (FRA), Rolf-Goran Bengtsson (SWE), Ludger Beerbaum (GER), Marcus Ehning (GER), Bertram Allen (IRL), Laura Kraut (USA), Olivier Philippaerts (BEL), Lorenzo de Luca (ITA), Michael Whitaker (GBR), Niels Bruynseels (BEL), Peder Fredricson (SWE), Henrik von Eckermann (SWE), Sergio Alvarez Moya (ESP), Beezie Madden (USA) and Philippe Rozier (FRA). For the full rider line up, please click here.